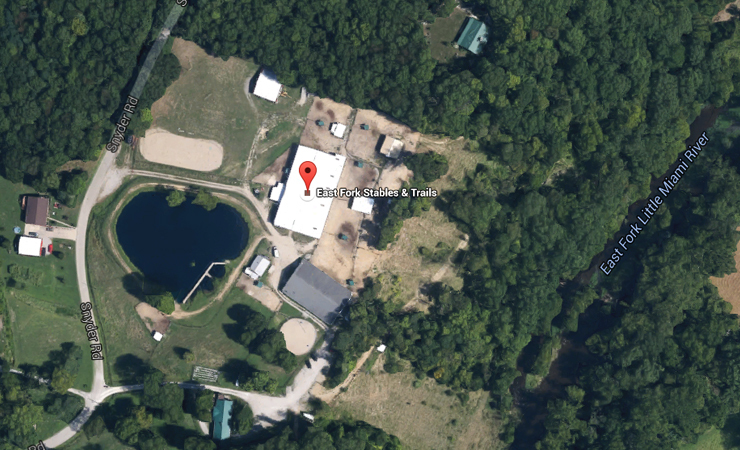 An aerial view of East Fork Stables. Take I-275, Exit #65, State Route 125 (Beechmont Avenue). Go 8 miles East on State Route 125, then turn left on State Route 222 by Phantom Fireworks Store and go North about 1.5 miles. 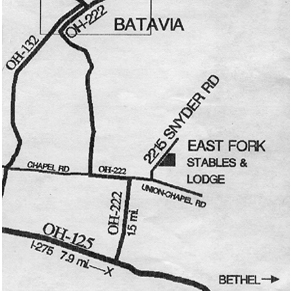 Turn right on Union Chapel Road, then left on Snyder Road. Go .3 miles and turn right at the bottom of the hill. Go past the house and park by the barn.